Today, I want to take a break from talking about beauty and talk about something that's going on in my life that I haven't shared much about on social media. A little over two years ago, my mom fell and suffered from a brain bleed that caused long-term problems with her memory and balance. After the fall, she spent months in and out of the hospital with various complications. Thankfully, she hasn't been hospitalized in over a year. Since she has problems with her memory, I've taken over as her caregiver. She lives alone half an hour from me, so this hasn't been the easiest way to care for someone, but I've made it work. Thankfully, Sam's Club has made it easier to save time and get my mom's essentials so I can spend more time with her or my kids. My mom can still drive, but she only drives a few miles from her home and doesn't like to do a lot of shopping because of the walking. I've been doing some of her shopping for her, but since she lives half an hour from me, by the time I drive and shop, I have no time left. I got a membership to Sam's Club several months ago not knowing all of the benefits they offer for caregivers. 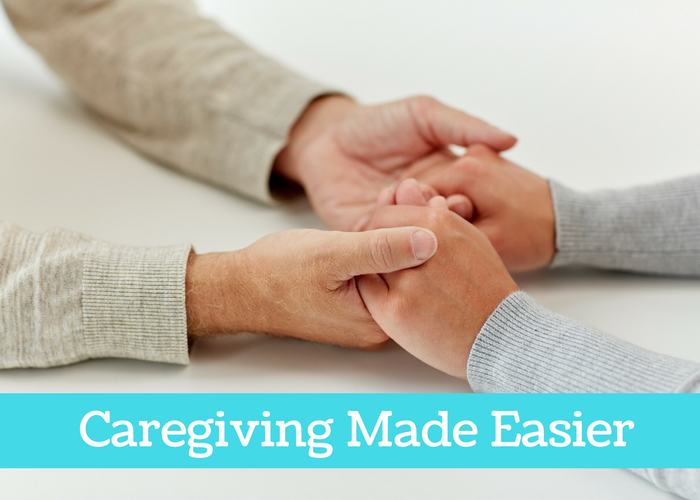 When I found out that I could save money and time with the Sam's Club Caregiver Program, I was a happy mom and daughter. Sam's Club saves me money on things I buy for my family and the things I buy for my mom. They have several products that caregivers can use for their loved ones, including Depend, Poise, Centrum, Advil, and Ensure. Since time is something that I'm always short on, I use the discreet shipping sometimes. I like it because they have discreet shipping, so no one but me knows what's inside the box. This also lets me shop when it's convenient for me, which is usually late at night. They have free shipping on some items from some stores, so check store availability. If I can't wait for shipping, I like to use the club pick-up. This is the fastest way to get my products because I order online and go to the club to pick them up. Some clubs even let you pick it up outside so you don't even have to walk in the store. This is very helpful when my mom is with me so she doesn't have to walk around the store. If I have the time, I like to look around to see what I need for my family, so this is when I use Scan & Go. Have you ever been shopping and groaned when you saw the lines at the register? Then this is for you! Just download the Sam's Club Scan & Go app. Then scan each item as you add it to your cart. When you're done, you can pay for your items directly from the app. No more standing in line! So now I worry about my kids and my mom, but I don't have to worry about how I'm going to get the items that she needs thanks to the Sam's Club Caregiver Program. Be sure to check out Sam's Club to see what's available in your area.